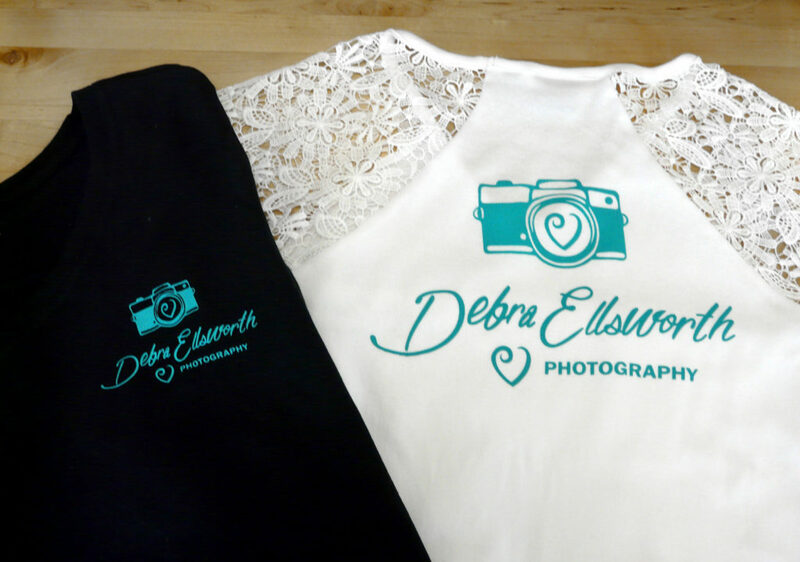 Custom Printed T-shirts for Debra Ellsworth Photography! We recently printed these custom t-shirts for Debra Ellsworth Photography and they turned out beautifully! Debra saved money by supplying a variety of blank shirts in different sizes, styles, and colors, and printing the logo in the same size and teal ink on all of them, so she only had to pay one screen burning charge. This is an excellent option if you want to do a lot of different styles in small quantities with the same artwork. Her team is going to be looking fabulous at all their upcoming shoots! 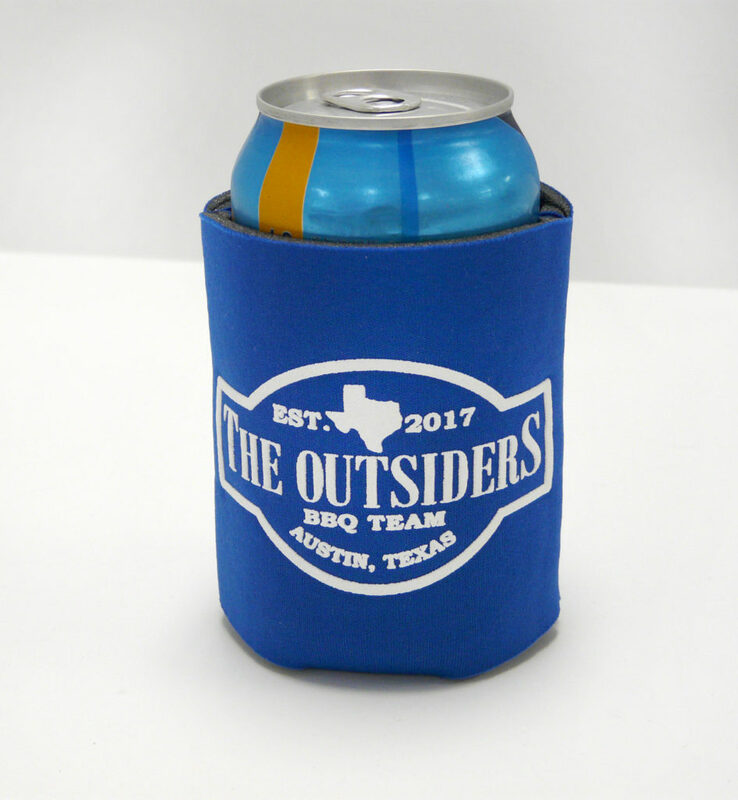 Contact us for an estimate on your custom apparel project today! 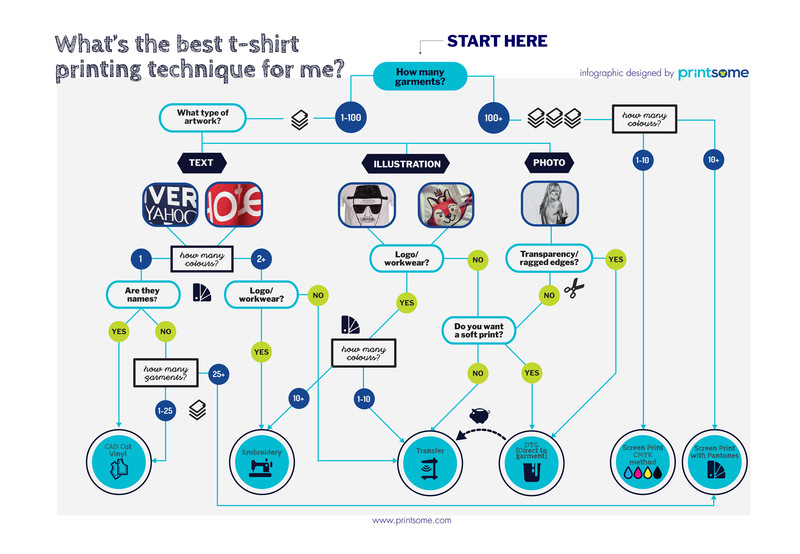 Which T-shirt printing process is right for you? Thinking about getting some custom t-shirts? Here’s a handy infographic on what printing process might be right for you!